James J. Mooney, 61, of 132 Liberty St., Hackettstown, died Wednesday in Morristown, N.J. Memorial Hospital after a long illness. 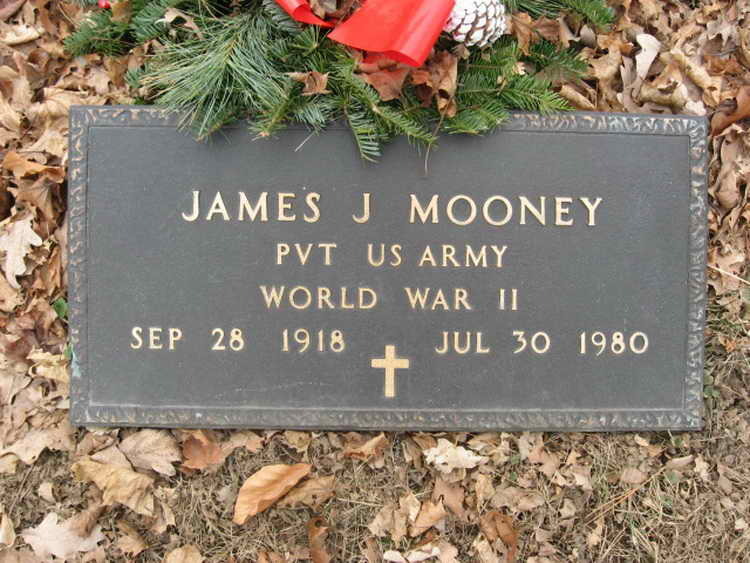 Born Sept 28,1918, in Hackettstown, he was a son of Jeanette Riedinger Mooney, Hackettstown, and the late James H. Mooney. He lived in the Hackettstown area most of his life. He was a retired truck driver for the former Gulick Fuel Oil Co., Hackettstown. He was a member of the Veterans of Foreign Wars Post, Netcong, N.J.; the Blue Ridge Post No.164, American Legion, Hackettstown; the Loyal Order of Moose, Hackettstown, and the 82nd Airborne Division Association. brothers, Leonard and Wilbur, both of Hackettstown; two sisters, Mrs. Barbara Slachetka, Hackettstown, and Mrs. Marion Petro, Midland, Texas, and a grandchild. Services will be held at 10 a.m. in the Hackettstown Baptist Church. Interment will be in Hackettstown Union Cemetery. The Cochran Funeral Home, Hackettstown, is in charge of arrangements.